Our motto, “Building homes for life & relationships for a lifetime,” is more than a slogan to us. We work with each homeowner to ensure a pleasant journey as dreams evolve from plans to reality. Space Coast Construction LLC builds distinctive homes through the use of top-quality materials and sophisticated designs. While each home is unique in appearance, they all share the same attention to detail when it comes to construction and quality. Rinek Inc. provides a truly turnkey service, taking clients from initial concept and design through construction, as well as interior design and furnishings. You can't afford not to build with us! Integrity Remodeling & Custom Homes, Inc.
Rich is a custom home builder with an emphasis on structural performance and energy efficiency. He is a Certified Master Builder building for over 22 years, in the resort mountain areas of the Blue Ridge Mountains, and now in the Orlando, Florida area for the last decade. Rich seamlessly blends different architectural details, energy performance, and hardened structures to create high performance luxury homes. 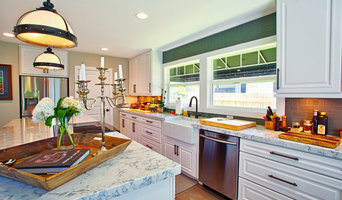 He gives personal attention to "Easy Living Design" in order to create a home that can adapt to the aging homeowner making life more convenient, enjoyable, and safe. Rich works closely with his customers to ensure every detail, need, and expectation is exceeded. He has chosen a team of tradesmen that compliment his work and share the same work ethic and thoughts of delivering a quality product, and who desires to build lasting relationships with the homeowner long after their project is complete. Rich engages the homeowner throughout the entire building project to ensure that he educates them on products and methods that are compatible with their desired goals. Understanding that the financial goals of a project are of equal importance, Rich provides a detailed job cost budget, so the homeowners are given the opportunity to help guide their project financially. Whether you are contracting with J & J to build "on your lot" or on one of ours, your home will be carefully planned, well designed and solidly built. At Vintage Estate Homes we specialize in designing and building beautiful, high-end luxury homes for clients to enjoy for a lifetime. Monarch Homes takes pride in designing useful spaces in both large and small homes. Our floorplans incorporate many innovative & exciting designs to choose from, including the larger Estate Series. Consistently ranked as a "Top 100 Homebuilder" in the USA, ICI Homes has been at the forefront of the industry and a standard bearer of excellence. Always on the cutting edge of new home design and technology, ICI Homes takes pride in offering a wide variety of architectural styles and floorplans to match each individual's lifestyle and price range. Because ICI Homes has built thousands of homes, from affordable villas to breathtaking mansions, our company benefits from a volume purchasing advantage that ensures your home is built with the best quality material at the greatest value for your money. The trust you place in ICI Homes is reciprocated by our professional staff of "hands on" designers, builders, and managers. We are dedicated to serving your needs and making your home purchasing experience easy and pleasant. If you are looking for a valuable home from professionals, then look to ICI Homes; where quality is our cornerstone. We believe in the honest use of materials, the creative use of details to connect each design to its context & the corresponding manipulation of space & light to create an authentic architecture. Triton Builders is a custom home building company dedicated to creating one of a kind homes for a lifetime of happiness. 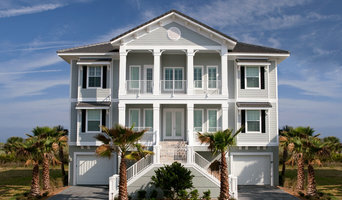 Triton builders are based in Reunion Resort Florida, located right outside of Disney World, and Universal Studios. We are "The strength in the custom home building experience." Winter Park Custom Homes has an effortless approach to the building process using our proprietary selections process. The attention to detail & thoroughness in this unique process saves clients money! We offer start-to-finish solutions for every project. We use only the best quality material's and labor, when building new homes in Merritt Island, Cocoa Beach Viera North, and all of Brevard County. M. Lahr Homes is a custom residential home building company specializing in well-located, established, urban and suburban neighborhoods in the metro Orlando area. As a full-service custom home builder we are with you from concept through construction. We offer a unique integration of design and construction that results in a flexible, collaborative, design to build process. Our experienced team works closely with you to design and build the perfect home for your unique lifestyle that fits well within your neighborhood. Honesty. Integrity. Trust. 35 years of construction and development experience doesn't make me perfect, but provides the foundation to provide exceptional service & excellent quality at a fair price. Our vast building experience of managing the construction of hundreds of homes in Central Florida will also give you peace of mind in knowing you are in good hands. In 1995, our founder and owner, Lori Waters, a second generation builder, decided to create a building company that would cater to discriminating owners by providing superior quality, at an affordable price. Meticulous attention to detail and a true dedication to the art of craftsmanship have earned Built By Waters a reputation of excellence in the building industry. Two years later, Lori's husband, Glen, joined the successful and growing company, and has been a true asset to Built By Waters. Since 2014, we have worked to build a reputation for outstanding quality and innovative design in the residential construction arena. We strive to ensure that we offer the best new home value. Pemberton Design was established over 25 years ago to provide quality professional design services built on honesty and integrity. Our desire is to leave a lasting impression on clients & communities. At Parthy Construction we are a state certified residential contractor and we are not merely transforming land into blocks and bricks. We believe in the beauty of creation and the power of design. And more importantly, we believe in the realization of your dreams, as our promise. 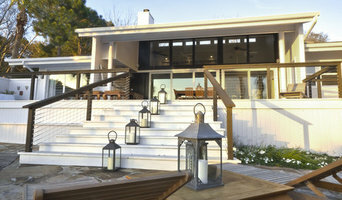 Our company has been an established construction firm, creating homes and renovate homes. The expertise and experience we offer is based on the industry's standards, all for a reasonably packaged price. As your trusted partner, we are assuring you of an excellent workmanship from start phase of the construction until the turnover of the project. We are a team of competent engineers who will be your partner in the development of your property. May it be building of new home or renovate or remodel any kind of homes, we are dependable professionals who will render outstanding services from pre-construction to cost scheduling, our team will be ready to serve you. Nautilus Homes is more than an award-winning Central Florida custom home builder. Home design and construction is our passion, and it shows in every one of our residential and commercial projects. From building your new custom home, interior and exterior renovations, to constructing commercial buildings and tenant improvement, Regatta Building & Development makes it all happen. Regatta’s management team have been serving the changing needs of our clients for more than 30 years. Every Regatta home is artfully designed to create maximum livability, understated elegance and impeccable style all the while integrating the personal modifications of our clients. Whether you are working from the ground up, putting a fresh look on your current home or looking for an existing Regatta home, we will make your dreams come true. Michael Wenrich is a registered Architect and LEED AP with over eighteen years of experience working in Florida, Virginia, Vermont, and South Carolina. Eco Construction Group is Central Florida’s premier builder of energy efficient and eco-friendly construction. We are a company committed to the responsible construction of quality houses and structures that meet and exceed our social and ethical responsibilities to the environment, to the community and, most importantly, to our clients. 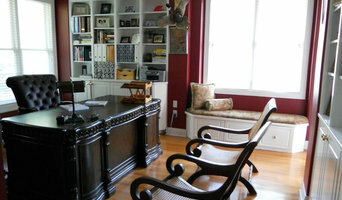 We are general contractors, and our focus is on building commercial, custom residential, and remodeling. As a home builder in Orlando we are an industry innovator – from using the latest in building techniques to our quality assurance programs...we're dedicated to creating the best building experience. We build with as much care as passion, with our objectives being not merely to produce beautiful structures that look and do exactly what each owner envisions, but to create a bond between builder and owner that we expect to endure long after the home is complete. And, if you listen to the words of so many satisfied homeowners, subcontractors and Realtors, we think you will find that, so far, we have succeeded. Our motto, “Building homes for life and relationships for a lifetime,” is more than a slogan to us. It’s a statement of our intention, the rule by which we operate, because we at Christopher Burton Homes believe that building homes is far more about people than it is about houses. Please call for more information, we look forward to hearing from you. At Synergy we are dedicated to building partnerships as well as new homes & spaces. We listen, respond and work with you to create what you have unmistakably earned: The very best. Since 1985 Mike Hickman and Hickman Homes have been building custom homes throughout Central Florida. These homes reflect the tradition of fine home building. Hickman's homes have won awards and praise for their design and quality construction. Mike Hickman works with homeowners from the early stages of choosing and finalizing floorplans, providing estimates for building your new home, scheduling walk-through inspections during and at the end of the construction process and finally, assisting with closing to make sure the new homeowners are happily settled in their new home. Mike Hickman is a pioneer in the Green building movement in Lakeland and Polk County, FL. He recently finished the award-winning "Go Green" showcase home in Morgan Creek Preserve. This home uses eco friendly building materials and energy-saving features such as solar hot water panels, Icynene foam, recycled products and other green materials. Read more about our green building project home and its innovations. Since starting Hickman Homes, Mike Hickman has expanded his business and expertise into the areas of home remodeling and commercial contracting. Hickman Homes can also remodel your existing home to provide more space through an addition to your house or wanting to add new life to your kitchen, bathroom or other room in your home. Hickman Commercial Contracting works closely with local business owners in Central Florida to collaborate and build professional spaces where they can serve their customers in a well built and tastefully designed setting. As a leading custom homebuilder in Central Florida, we’ve built our unparalleled reputation on craftsmanship, quality materials and attentive service every step of the way. Our primary focus is to create and develop specifically tailored design solutions that promote beauty, sustainability, utility, and value for each client. We believe in the honest use of materials, the creative use of details to connect each design to its context, and the corresponding manipulation of space and light to create an authentic and enduring architecture. Every project begins and ends with understanding what the client wants to achieve. Through a thorough interview process and open communication during each step of a project, we strive to create buildings and spaces that evoke the unique character of each client, program, and place. The extended impacts on our natural systems of the built environment are vast and long lasting. Therefore, we are committed to sustainability in every project, no matter the scope, and do not view green architecture or sustainability as an add-on, rather we see it as necessary. We are experienced in working with the guidelines of both LEED (Leadership in Energy and Environmental Design) and the Florida Green Building Coalition. Karen works with homeowners to design plans that are not only favorable to the client, but also functional spaces. Her love and passion for environmental solutions carries through each design.